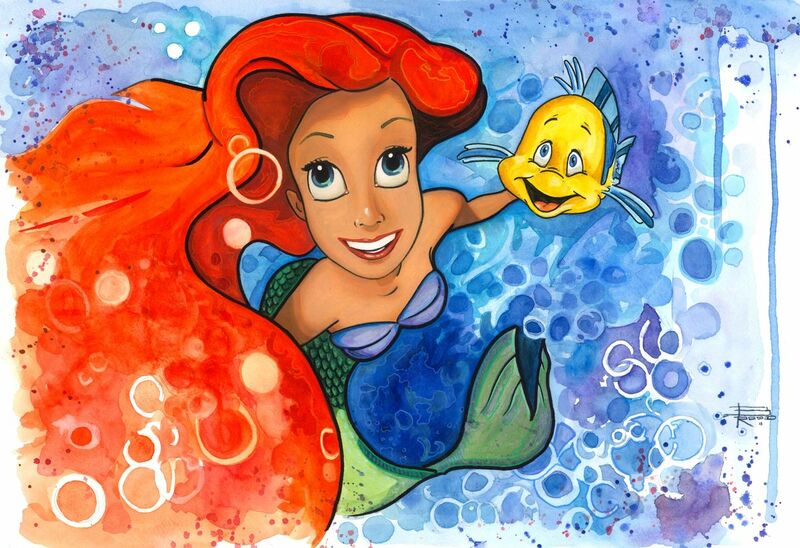 Home > Disney Fine Art > "Ariel and Flounder"
" of your favorite Heroes and Villains from the world of Disney. Please select your Paper or Canvas Edition choice from the drop down menu under the "CHOOSE OPTIONS" part of the page. Gallery wrapping is available. If you select the rolled version of the canvas edition you will get the canvas shipped rolled to your house, ready for your local framer to stretch the artwork over your choice of stretching bars. The gallery wrapped edition ships to you ready to hang, already professionally stretched with all mounting hardware attached to back of artwork.